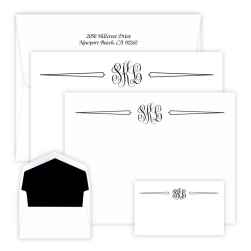 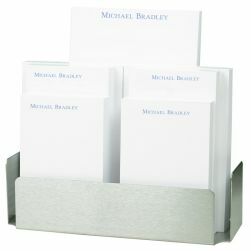 The Modern Dot Wardrobe - Raised Ink includes flat correspondence cards, Apex cards, and gift enclosure cards on our double-thick card stock. 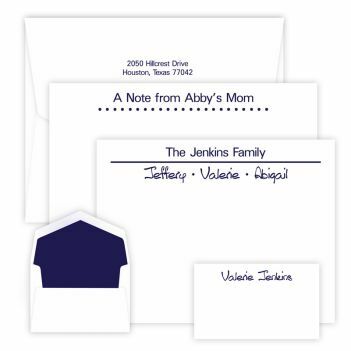 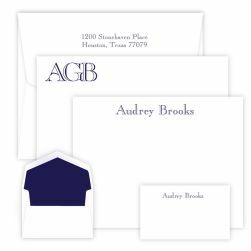 The Apex card features a dotted ruled line while the standard correspondence card features a solid ruled line and two lines of personalization. All printed in the shiny, raised ink color of your choice.